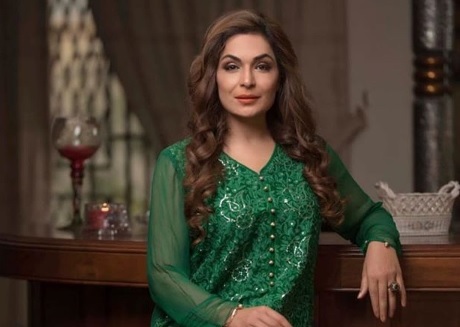 In support of the Supreme Court-backed fund, now named as PM-CJP Dam Fund, Pakistani actress Meera has announced a contribution of 25 thousand rupees. Speaking to news channels outside a children’s rehabilitation centre in Karachi, Meera said that she has donated Rs 25,000 for the construction of the Diamer Basha Dam, adding that she will be dedicating her time and effort to raise awareness and gather funds for the campaign. Meera also shared the news of her donation on her social media accounts. In a brief pre-recorded address to the nation on Friday, Prime Minister Imran Khan had appealed to the countrymen, especially overseas Pakistanis, to generously contribute for building new dams. He had described the ongoing water crisis as the biggest challenge and warned that the country would be facing a drought-like situation if new water reservoirs were not built within seven years. Talking to delegations of the Akhuwat Foundation and the Message Foundation in Lahore late last week, Justice Saqib Nisar had said that construction of the new dams was critical for the country’s survival, promising that he would continue his efforts even after retirement.